Here we see a beautiful outfit idea worn by Meghan Markle. 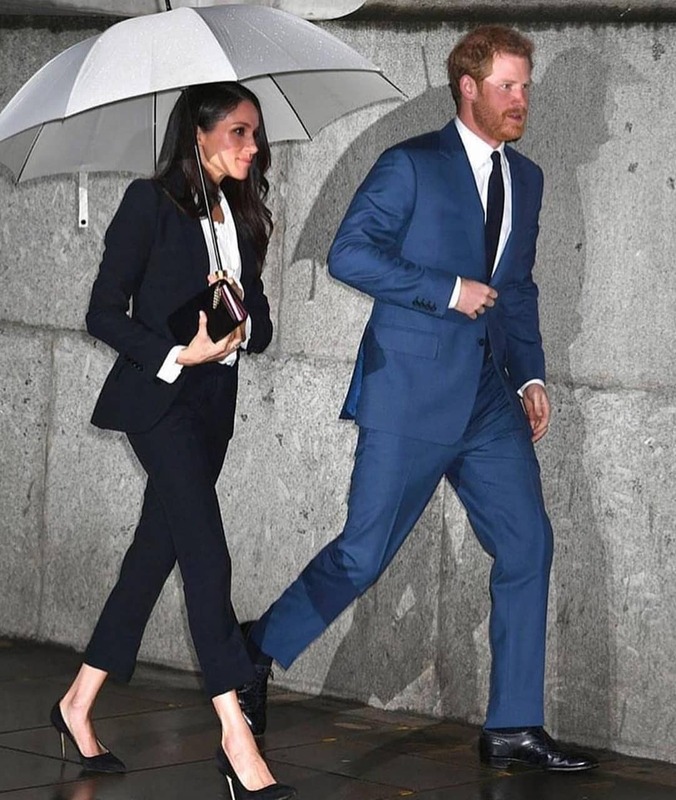 She appears in a classic black pantsuit completed with a white shirt. She completed it with a pair of black heels and a mini clutch bag in black.